I don't know many people who can look at these photos without being compelled to coo "awwwww." 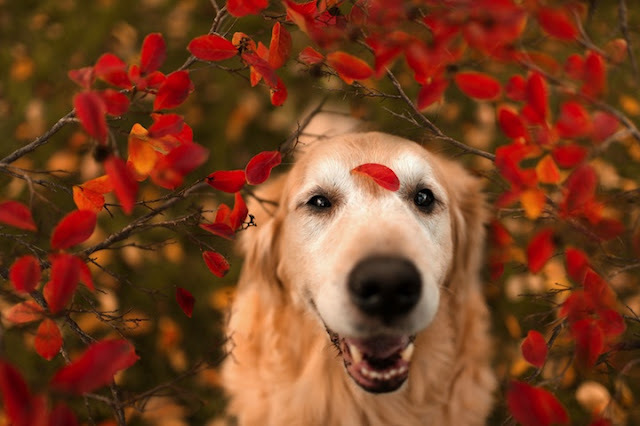 20-year-old college student and photographer, Candice Sedighan has captured her golden retriever, Champ, in a refreshing way. 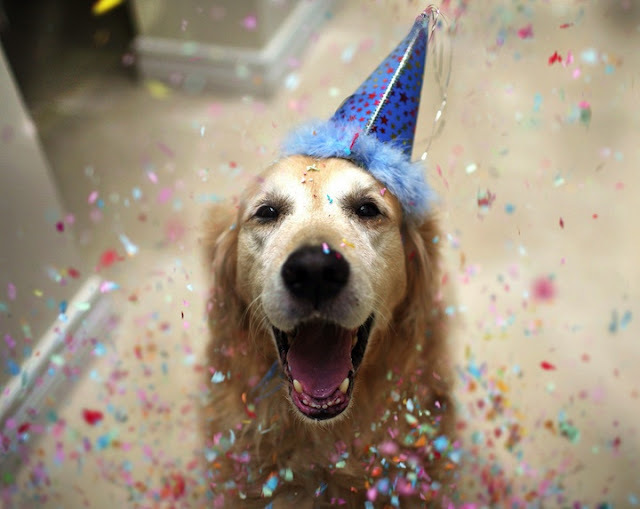 Champ can be seen dressed up, running, standing still and even sort of smiling! She's quite the model! Candice received Champ as a pup from her dad and quickly bonded with her. But, Candice only started to take photos of Champ when Champ was 13 years old. Candice participated in a photo series called 52 Weeks For Dogs on Flickr and for the last seven years she has captured 20,000 photos of this awe-inducing dog. This talented young lady was recently interviewed for the Flickr blog where I was able to find out more about Candice, Champ and her love for photography. Take a moment to see more of this happy dog here and read about Candice here. 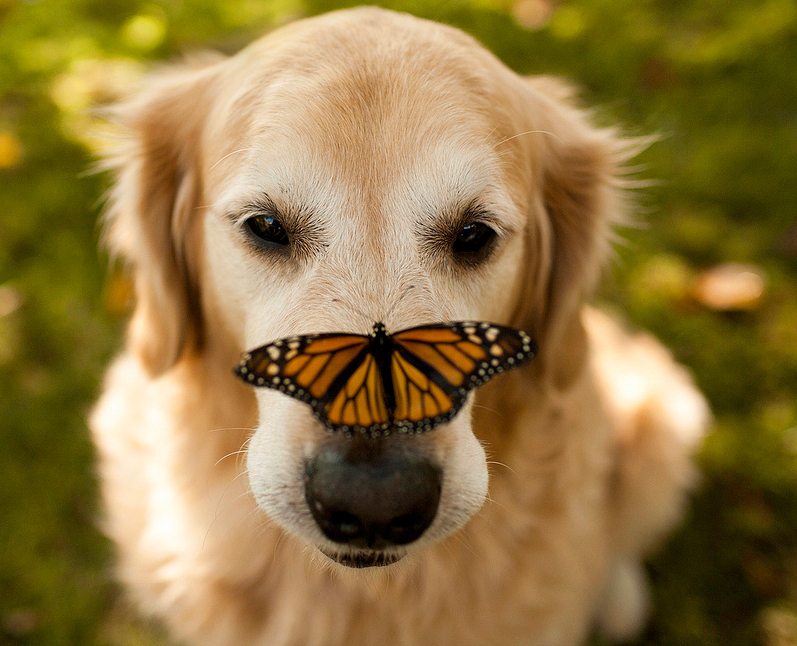 BTW, the butterfly on Champ's nose in the photo below is REAL...not photoshopped! I'm dying over these...I can't even take the cuteness! oh my gosh, this dog is precious!! These photos definitely cheered me up! Thanks for sharing! omg'd these photos are so precious. i love the butterfly net one. he's a precious older dog. so great of her to capture these of him. thanks for sharing nancy. Oh my word...this makes my heart melt! 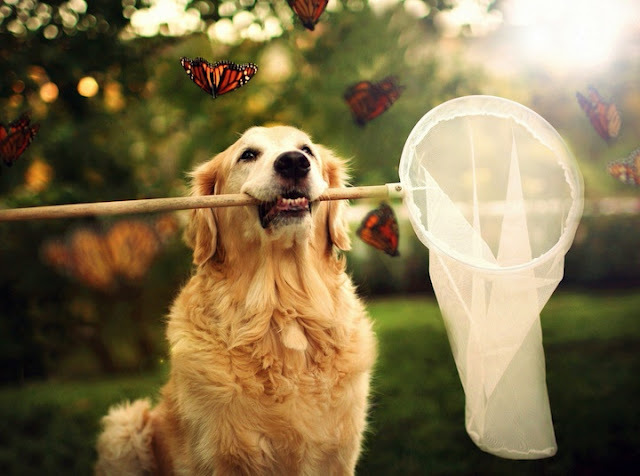 What a gorgeous retriever. This girl is one incredibly talented photographer too...I'm inspired! Oh my goodness - I loooove these shots! OMG so so cute,love it! Thanks for sharing! We had a golden retriever growing up, and these totally brought a tear to my eye! OMG Champ is SO cute!!! I love lab/retriever faces. They're such sweet souls. OMG..... these photos are ADORABLE!!!!!!! So sooo cute! hehe... seriously made my day! What a cutie!! 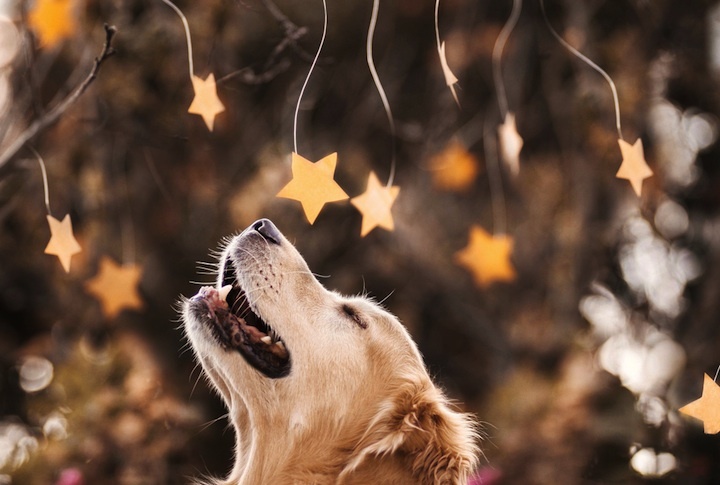 These are awesome photos and I want a puppy so badly! omg these are ADORABLE. 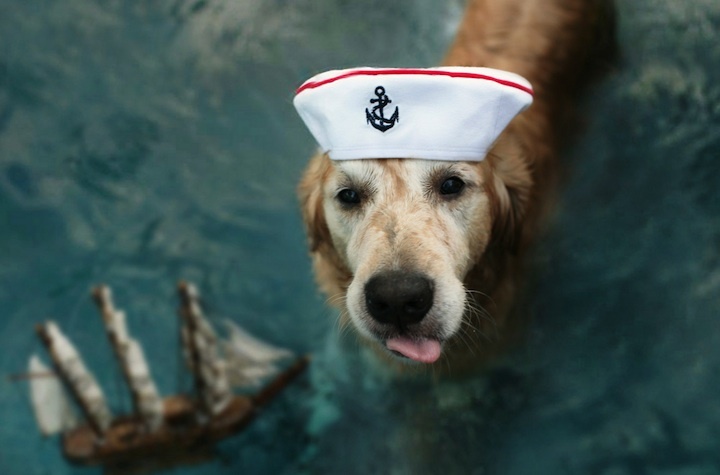 love the sailor shot! 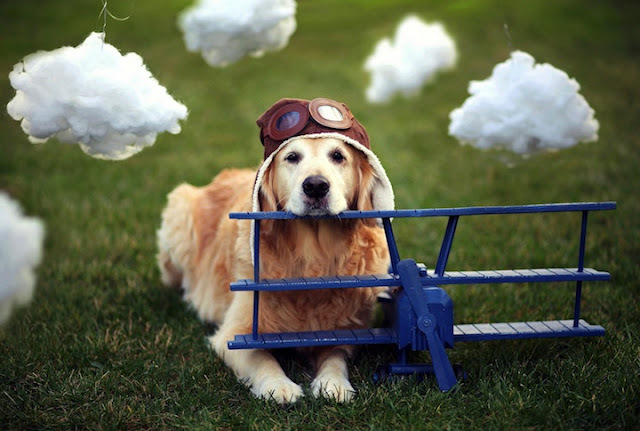 lol, the aviator one is the cuttest!!!!! omfg that last photo! in love! OK this convinces me. I need to do a 365 project with Teemo.